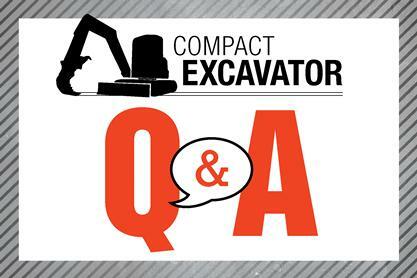 When you’re in the market for a compact excavator, the bucket is an important consideration. Compact excavator buckets come in a variety of sizes — choosing which is best for your environment and application can improve your machine’s performance and your productivity. So how do you find the bucket that best fits your application and working conditions? Q. What bucket type do I need for the job? A. There are two types of compact excavator buckets. Trenching buckets: Available in standard models (for normal digging conditions) and severe-duty (for digging in severe ground conditions where rock is prevalent). The difference is the thickness of the buckets’ bowl material, wear pads, and the type of shank and tooth. More material is used in the construction of severe-duty buckets to help them withstand tough ground conditions. Grading buckets: Designed for cleaning and grading — versus trenching — so they do not have teeth. Q. What size bucket do I need? A: The working conditions are the greatest deciding factor. Normal dirt. 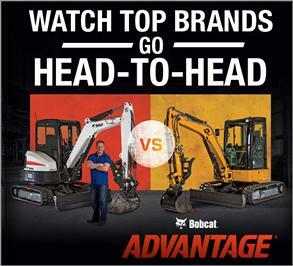 Go with a standard size bucket — 24 inches for a 3- and 4-ton compact excavator. Rock-filled ground. A bucket smaller than standard size is a good choice. Less power is needed for the machine to dig with a smaller bucket, so it will be more productive. Soft dirt or sand. Consider a larger-than-standard size bucket. The machine can dig with a larger bucket through softer ground conditions more easily, enabling you to trench or grade faster. Tip! 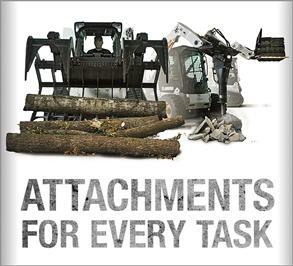 In tougher ground conditions, operators rely more heavily on bucket breakout force. In lighter ground conditions, the power is in the machine’s arm force. 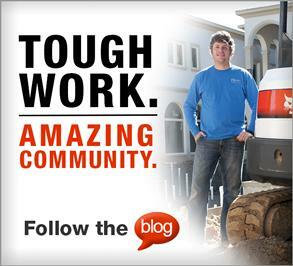 Q: What bucket teeth best fit my working conditions? A. Ground conditions apply to this decision, as well. Most ground conditions that aren’t frozen or rock-filled. Standard bucket teeth work fine. Rocky, frozen or caliche soils. Consider purchasing specialized bucket teeth with a more aggressive point to penetrate the hard soil. Tip! Consider that not all teeth are connected to the bucket in the same way. Some buckets feature weld-on shanks, while others use shanks that bolt on. Most compact excavator teeth attach to the shank with a retention pin, which will typically wear in time. If you keep digging without a tooth, you will wear the shank and you’ll have difficulty retaining a new tooth. If you wear down the shank, it shortens the life of the pin. In most situations, the shank will last the life of the bucket. Q: How long should my bucket last? A: It all depends on working conditions. Here are some ways to extend the life of your bucket. Check teeth for wear, and replace when necessary. Check roll pins for wear, and replace before they fail. Don’t run a bucket if a tooth has fallen off. Tip! To extend the life of your bucket, never use it in an application that should require a hydraulic breaker. Buckets are not meant to break up concrete. They can be paired with a hydraulic clamp after the concrete is broken, to effectively lift and place the pieces in a truck or container to be disposed of.